Sluggish, Quiet Performer in Pearly White. 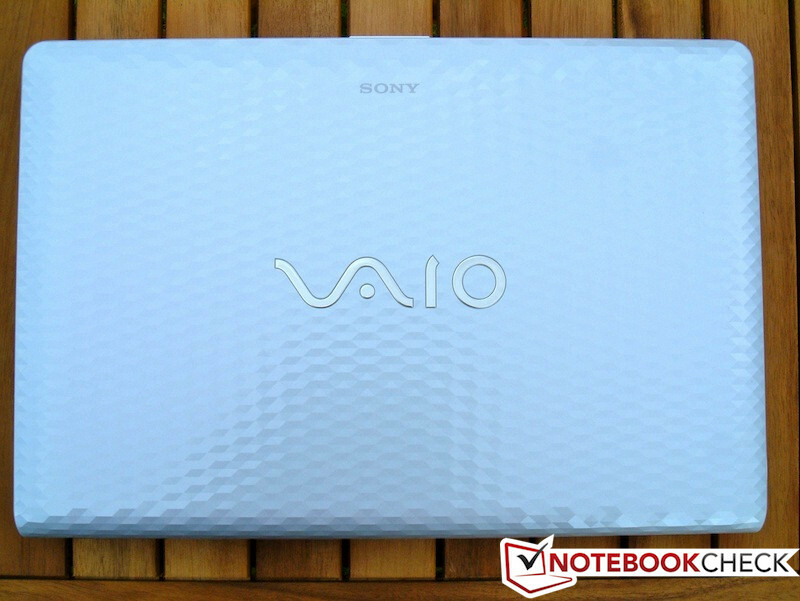 Sony's Vaio series is famous for its exclusive design. The third generation VPC-EH3C0E/W with us uses the well-known case design. 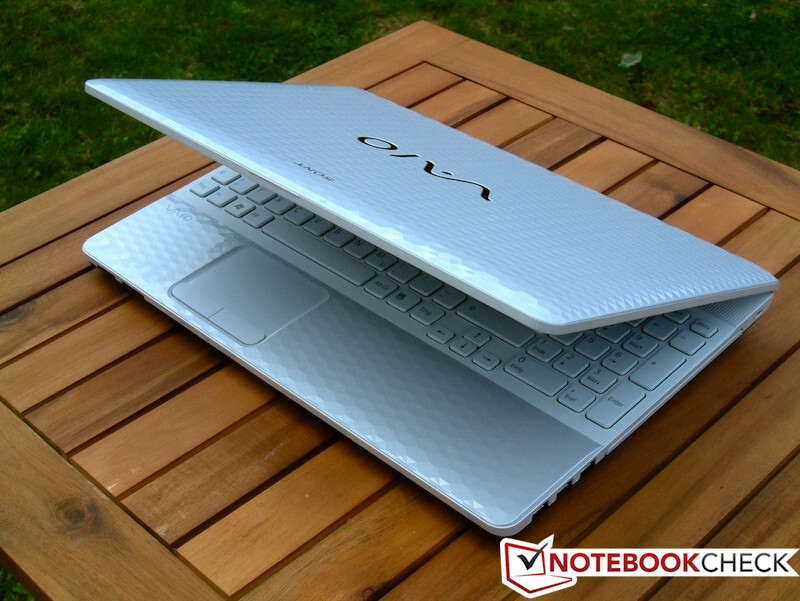 The looks may be good for marketing, but what about the performance of the Vaio notebook? We take a closer look. 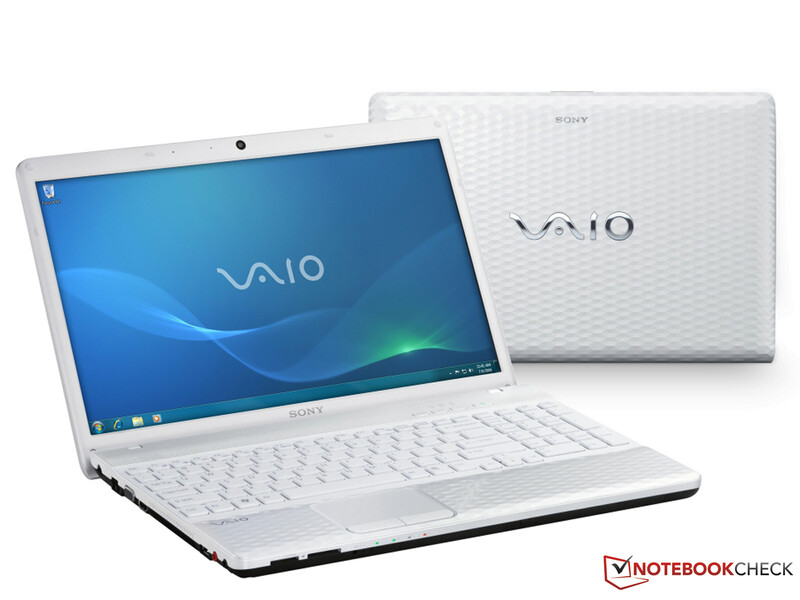 Buyers of a Sony Vaio have come to expect a certain level of appeal and workmanship. The VPC-EH3C0E/W delivers these qualities well. 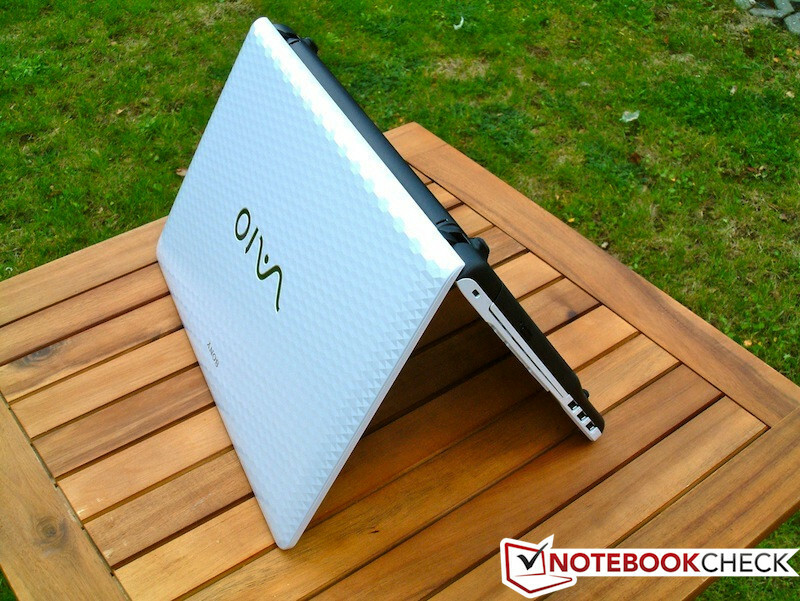 Vaios tend to be extremely expensive. It is not surprising to us to have lower performance at the same price point compared to other brands. 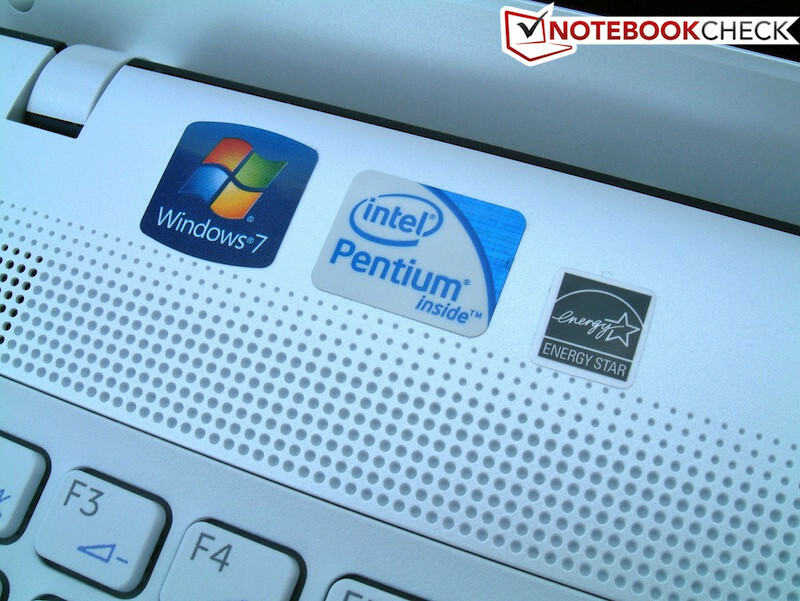 There was once a time when Intel Pentium referred to high-end processors, but now the line-up is mainly used in low budget laptops that compromise on the processor features and IGP performance to hit a certain price-point. The Pentium B960 is the representative of this. 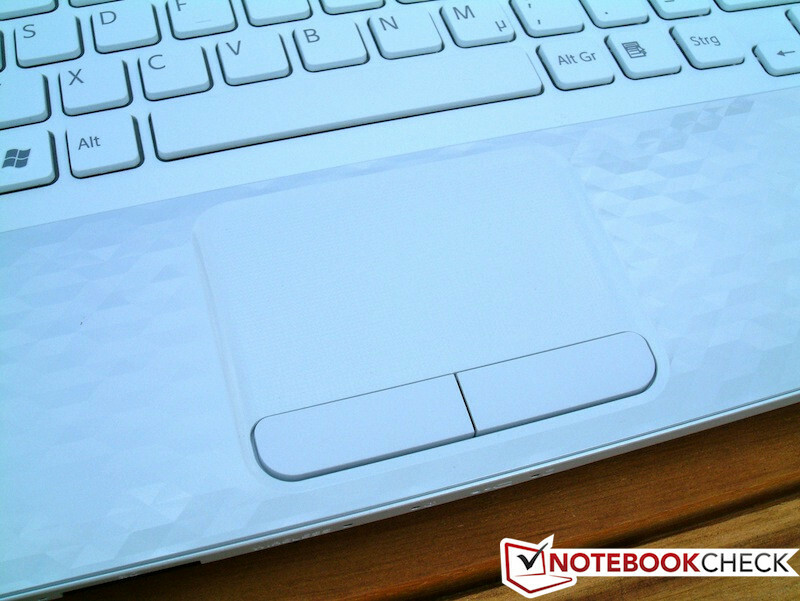 The rest of the hardware of the notebook is standard. 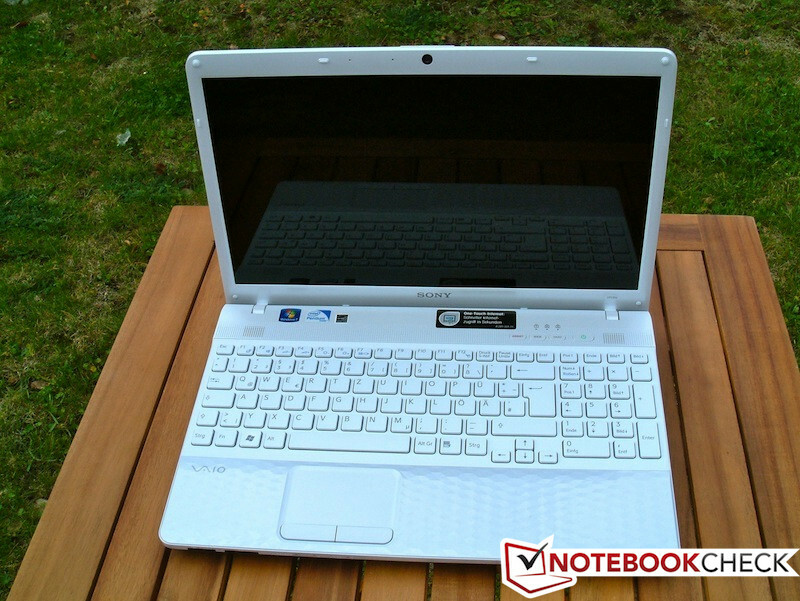 The 15.5 inch display is modest and there are no big surprises when it comes to RAM, hard disk, optical drive or connectivity. On the positive side, this means that the user will not be bothered by high noise emissions or a high price tag. We should mention that there are much stronger processors (up to a core i5) available for the EH3 series. There are a large number of configurations that are available on the Sony homepage. 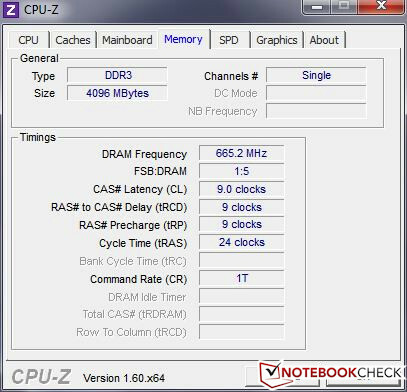 Two predecessors from the EH series have already been tested by Notebookcheck: the well-equipped VPC-EH1Z1E/B and the weaker VPC-EH1M1E/W. In many ways, the new EH3 is identical to the latter, and this is why we have made references to the old review in the following test. 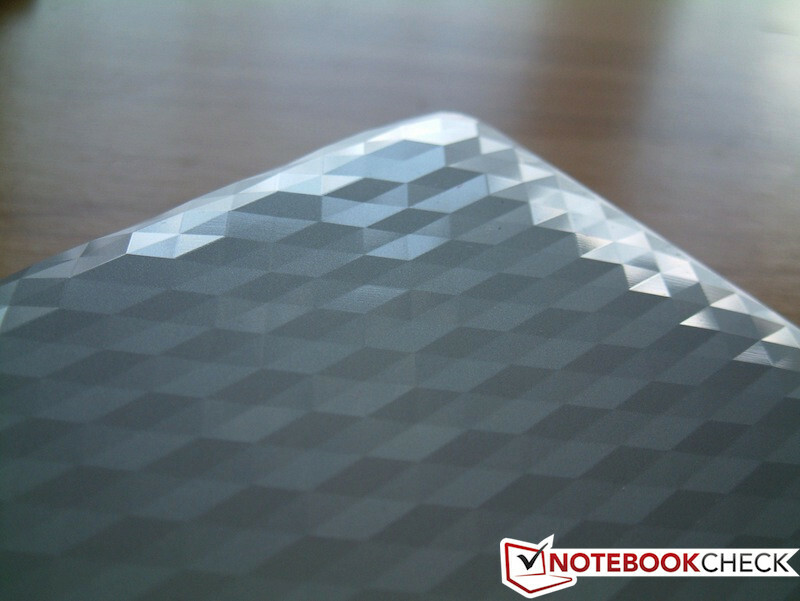 The test model is presented in pearly white and a fascinating honeycomb surface. The EH3 series is also available in black or blue. Fingerprints don’t stick on this case, despite the cover being glossy. The case is identical to the VPC-EH1M1E/W, and this is why we will keep this section short. Robust, light, with good workmanship. That would be the best way to describe the EH3. As before, the display can only be opened with both hands. Everything on the inside is white and the fitting is clean. The keyboard is slightly spongy but this does not affect the typing experience much. More on the keyboard later in the review. The user is not going to get any extras for a price of EUR 500 (~$620). 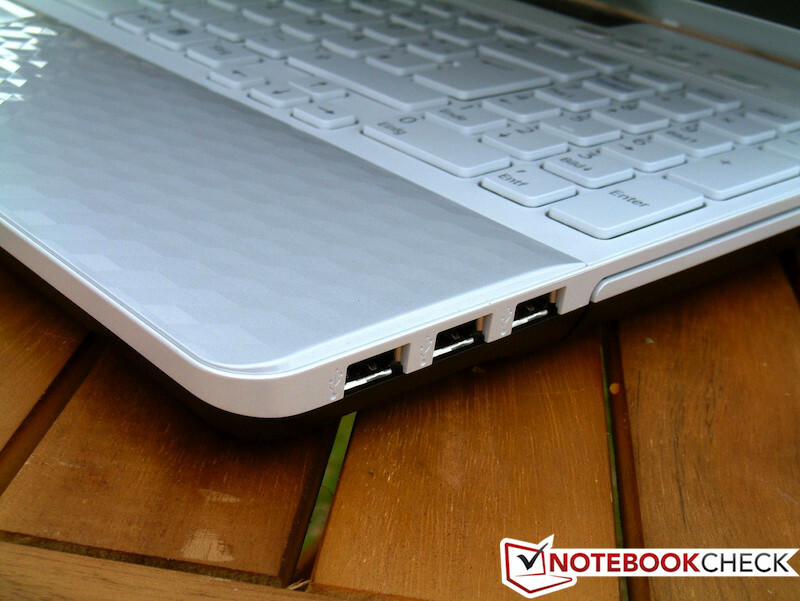 Four USB 2.0 ports, VGA, HDMI, audio jacks and Gigabit LAN are all part of the standard middle-class notebook connectivity options. The VGA output is clear even at WUXGA resolutions. The only thing worth mentioning is the presence of two card readers, one for Sony Memory Sticks and the other for SD cards. The positioning of the ports can be poor at times for left and right-handed users, depending on the ports in use at the moment. 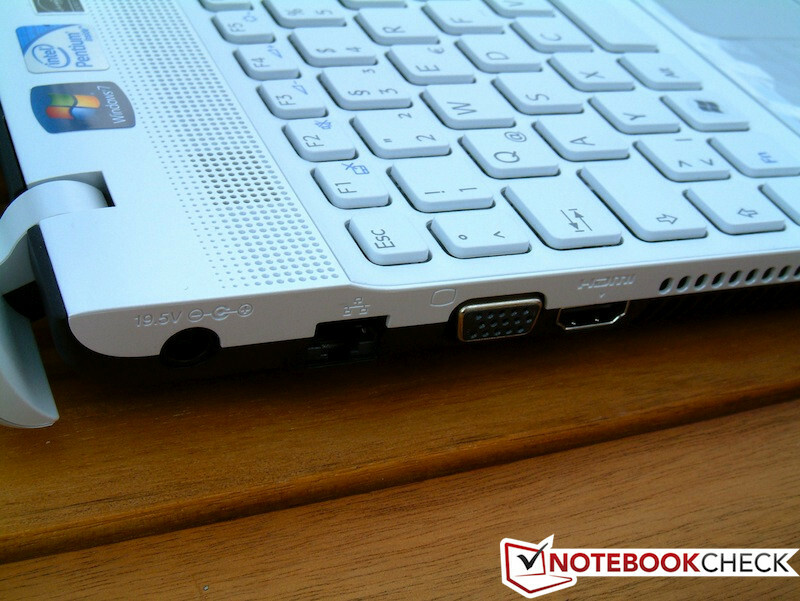 Left-handed users have to deal with stiff LAN and video cables, which are thankfully placed at the back of the laptop. An Atheros WLAN card allows the user to connect to wireless networks using the N-standard. The Realtek Gigabit LAN port allows the user to connect to networks with a LAN cable. Bluetooth 3.0 + HS, also from Atheros, rounds off the package. 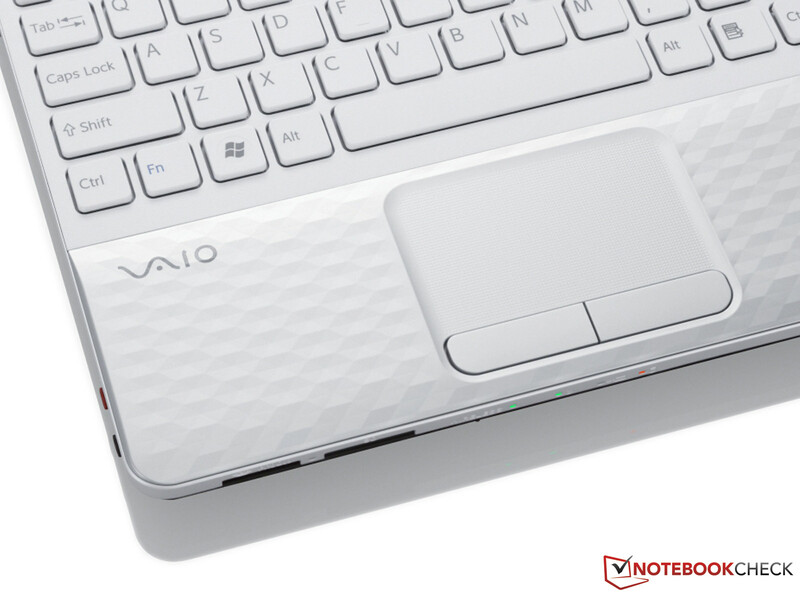 As in the predecessor, the VAIO has a "Quick Web Access" button, which boots the laptop into an OS specifically designed for surfing the web. The time required to boot measures about 1 minute. 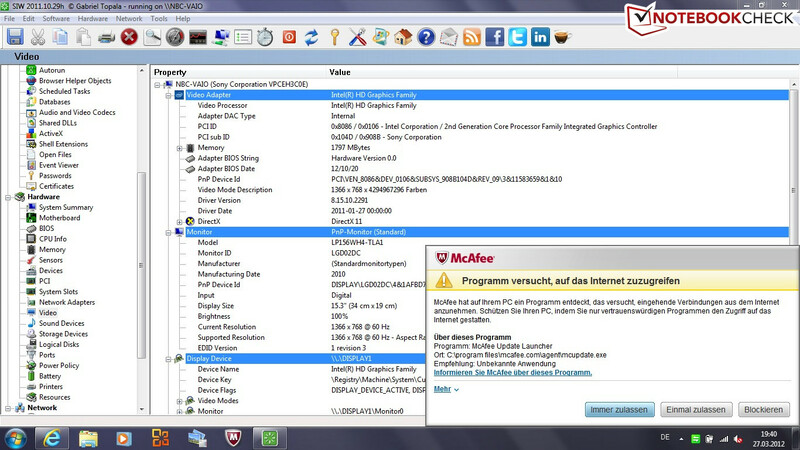 The only security measure provided by Sony is a test version of McAfee Internet Security which constantly bombards the user with annoying pop-ups. Hardware for increased security, such as a fingerprint reader, is not available. No additional accesories. Besides the 75W power adapter, there are a few manuals and a warranty card. A recovery DVD for Windows 7 Home Premium has to be created by the user using the manual delivered in the package. A few Vaio programs come pre-installed. The user has few options to upgrade. The RAM and hard disk each has one flap and that is about all Sony allows the buyer to see. 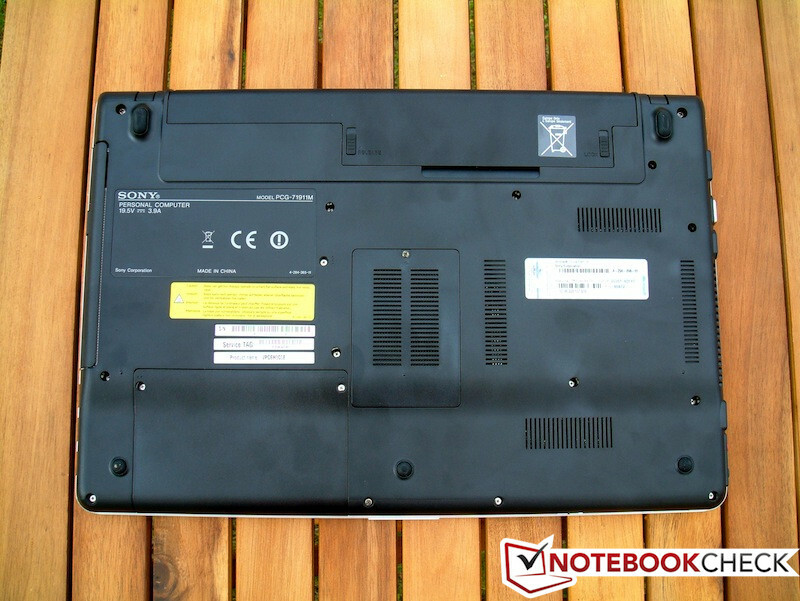 Even cleaning the fan would require the user to completely disassemble the notebook. 12 months warranty is provided by Sony for the EH3. 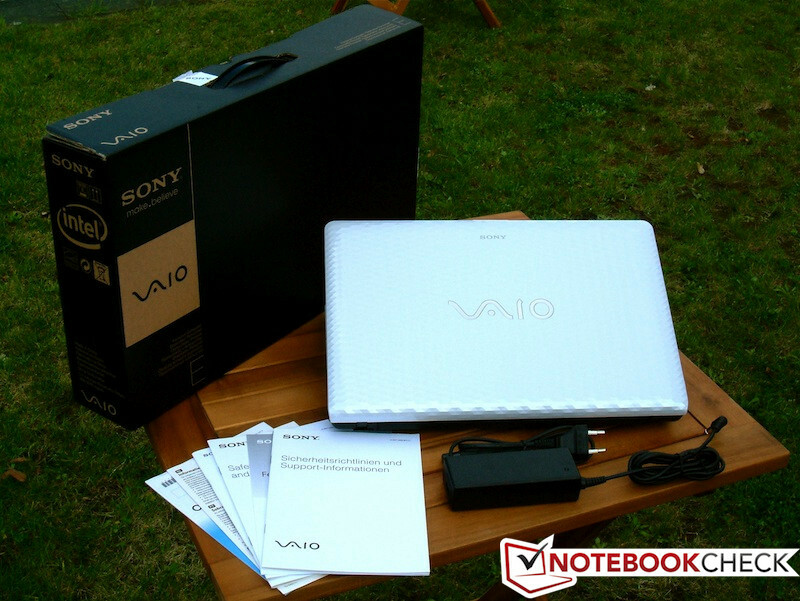 As for the other Vaios, the warranty can be extended up to two years for a premium. 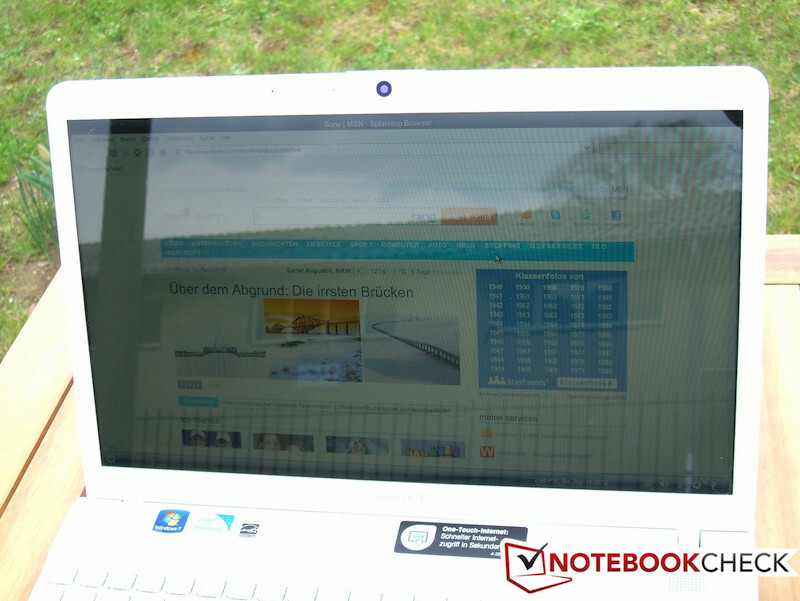 The premium amounts to around EUR 100 (~$125) which is relatively expensive and the user will have to decide if it is worth the investment for a EUR 500 notebook. 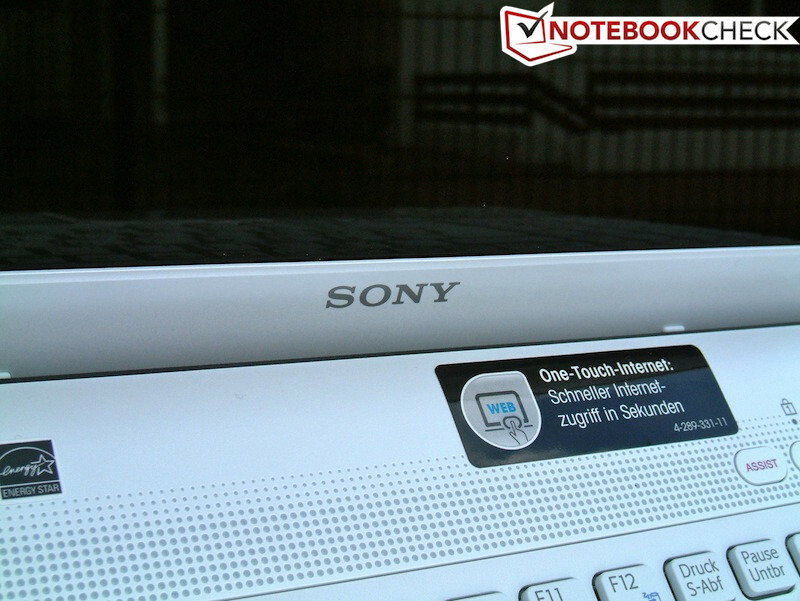 Sony offers a variety of optional accessories and peripheral devices for their models. The offering ranges from mice and keyboards to notebook bags. In addition, a replacement battery for EUR 150 (~$185) and a replacement power adapter for EUR 130 (~$160) are also available. This is one of the highlights of the test model. The full format keyboard has a number pad with good feedback. It feels to be of high quality with the exception of a slightly spongy feel and some creaking. There are few special function keys which perform specific actions. 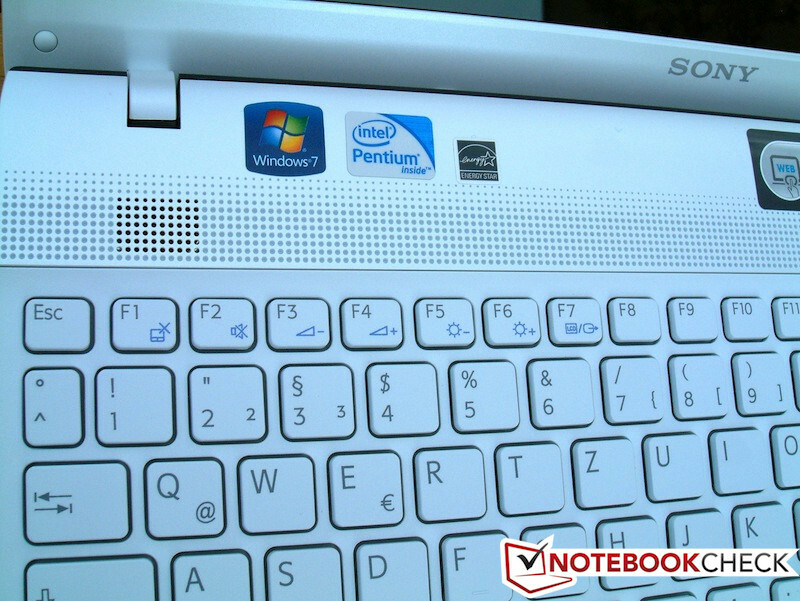 The "Vaio", "Web" and "Assist" keys are still on-board. 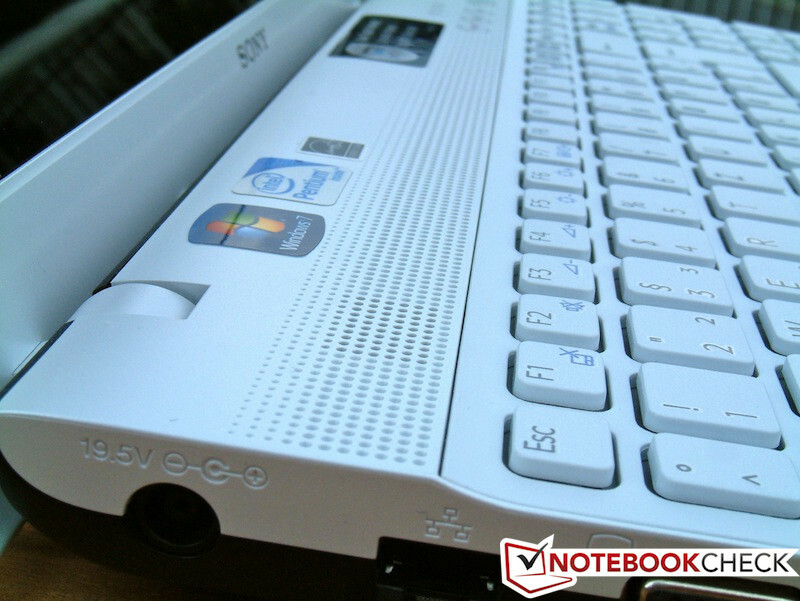 Additional information about the keyboard can be found in the EH1M1E review, as its keyboard is identical. 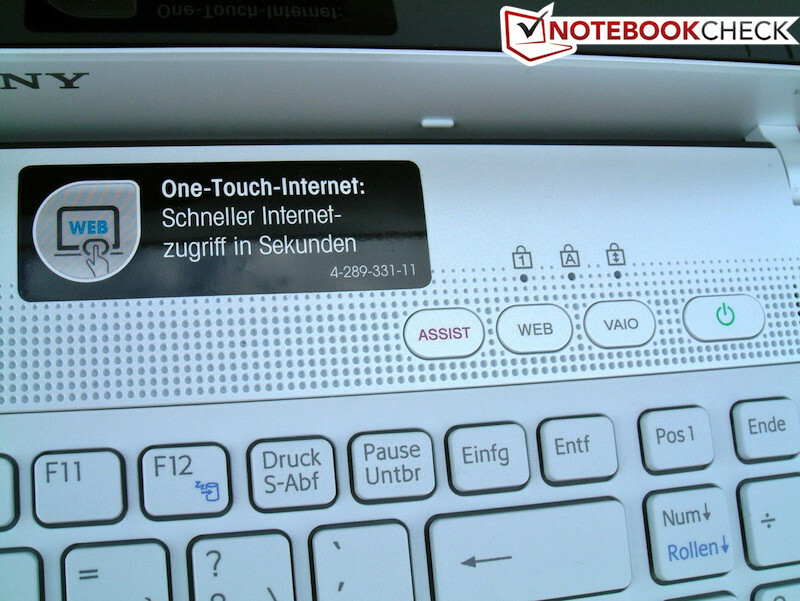 The well-sized touchpad has good feedback and is easy to use. The vertical and horizontal scroll bars are not marked, but they can be switched off in the control panel. The keys have a comfortable pressure point and are relatively quiet. A webcam for video calls is integrated into the top of the display with a microphone. The camera captures images at a resolution of 640x480 pixels, which is quite low, and the picture quality is decent. At maximum brightness, the pictures get paler, as the display lighting in the border is reflected slightly onto the lens. As previously mentioned, the VPC-EH3C0E/W does not have a great display. 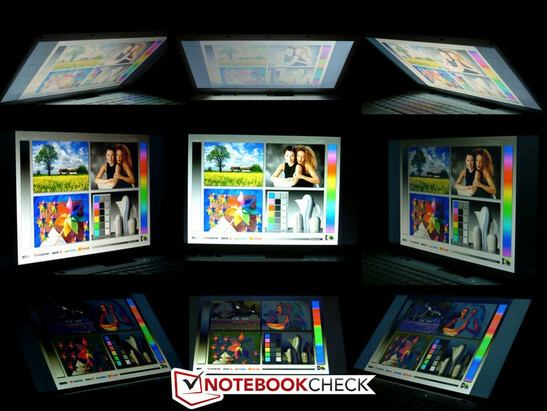 The widescreen resolution of 1366x768 pixels is standard and, as typical in low-end consumer notebook, the display is reflective. As the brightness is not very high, the display can be plagued by strong reflections. The user has to constantly adjust the screen to find the best position, and at home, the use of an external monitor would be recommended. The EH3 has slightly lower values than the EH1M1E/W. The predecessor had a black level of 1.36 cd/m², whereas the successor has a much worse 1.54 cd/m². Paired with the average brightness 200 cd/m² (predecessor: 220 cd/m²) the contrast ratio is now lower at 144:1. In comparison to the predecessor, the color spectrum coverage has also dropped. The colors of the EH3 often seem pale and cool. The results of a color spectrum coverage comparison support this statement. The EH3 lags behind the EH1 quite a bit in the important Red region and in the important color standards, sRGB and AdobeRGB. 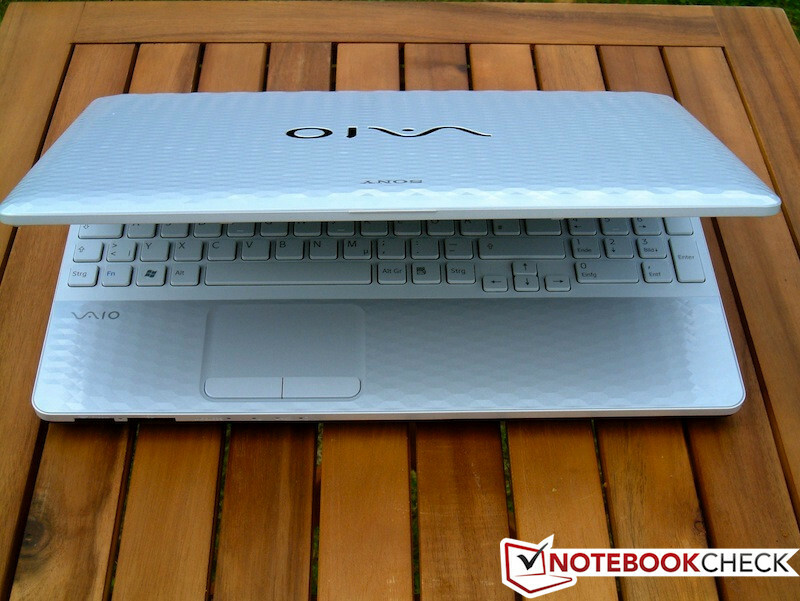 If the Vaio is used outdoors, the poor display values and the reflective panel end up making it hard to read the screen content. Poor horizontal and vertical viewing angles further exacerbate the problem. Sony has compromised a lot in this area. The user will always be adjusting the screen, trying to find the right angle. Computer veterans will remember the once-proud Pentium processor family. Now the name refers to CPUs which are considered to be entry level compared to the Core i series on the market. The inner workings of the B960 are based on the Sandy Bridge architecture, which includes the integrated Intel HD Graphics. 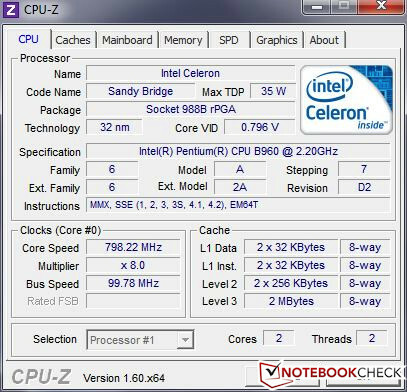 The clock speed of the processor lies around 2.2GHz. There is no power-saving mechanism, Hyperthreading, and Turbo Boost. More details can be found here. As expected, the performance of the CPU, which is the slowest processor available for the EH3, lies at the bottom in the performance charts. The Cinebench benchmarks support this statement. In Single Rendering test (32bit) in Cinebench 10, the Vaio (2,850 points) lies at the same level as other notebooks which still use older processors like the Intel Core i7-720QM or the Core 2 Duo T9400 like in the Asus L50Vn. 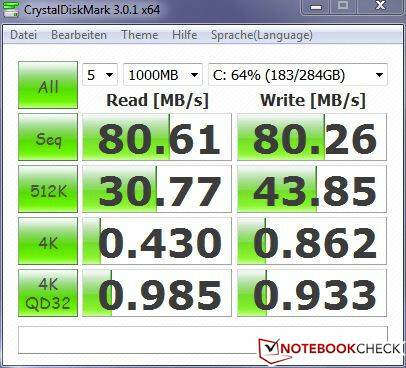 The Samsung 300E5A-S01 is a newer competitor which also matches these performance numbers. In 64bit Single Rendering, the EH3 lands ahead of the EH1M1E/W, although the EH1 is equipped with a more powerful processor. The EH3 scores 3,527 points, whereas the EH1 (Core i3-2310M) can only score 3,452 points. In general, we can say that the B960 is not suited for demanding programs as it lacks the necessary performance. The system may not be exceptionally fast, but the choice of components makes it balanced. However, this is not enough to get a high score in PCMark Vantage. PCMark 7 could be started on the test model, but even with the latest patches, it crashed in the video transformation test. As such, we do not have any results from this benchmark. 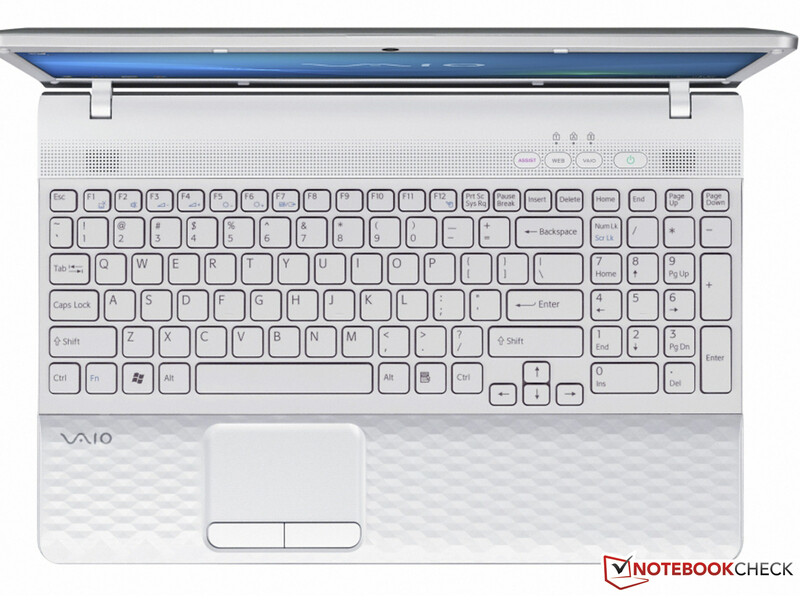 However, in PCMark Vantage the EH3C0E/W places near the bottom (3,874 points) alongside older notebooks, such as the Dell Studio XPS 16 (T9400 and Mobility Radeon HD 3670). This places the test model slightly below our reference benchmarks of the B960. 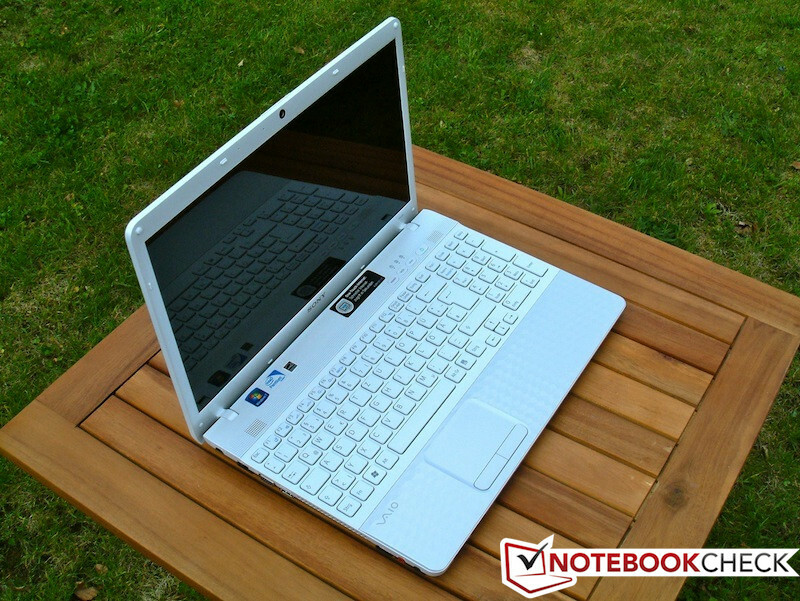 The Toshiba Satellite L755D-14U is a more modern competitor, equipped with an AMD A6-3420M, and it scores 4,034 points in the same test. Once again, we find standard hardware installed in the test model. Everyday tasks are handled with ease by a 500GB HDD from Western Digital and 4GB of RAM. 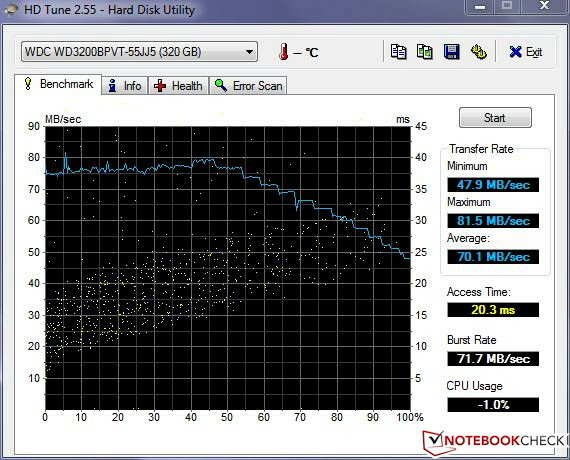 The hard disk has a maximum transfer rate of 80MB/s, and on average can perform at 70MB/s. 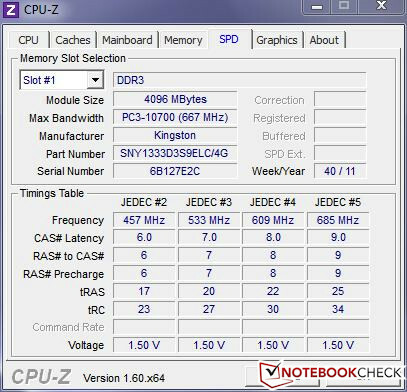 A second RAM module would have increased the performance of the notebook by a small amount, as this would have activated the “Dual-Channel” mode. 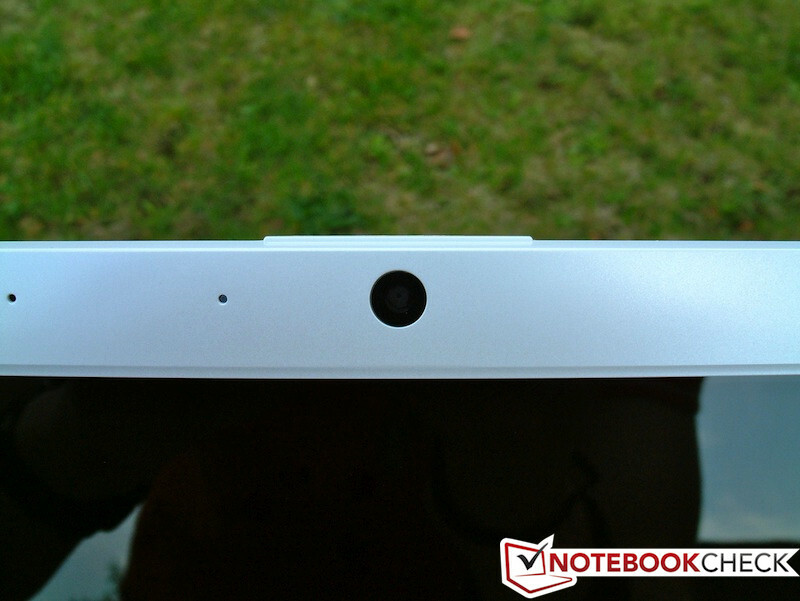 An empty slot can be found in the notebook for this purpose. No, we did not forget the number. This graphics chip has none. 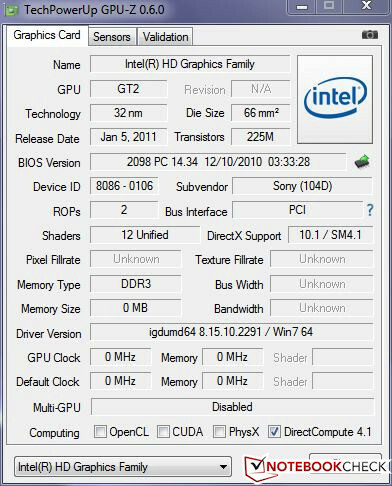 The Intel HD Graphics is basically a HD Graphics 2000 IGP. 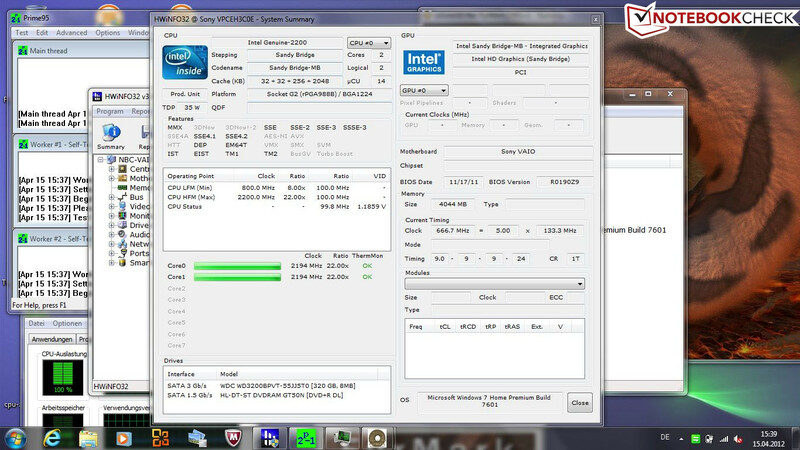 The clock speeds are dependent on the processor and this gives us varying results in benchmarks. This chip is not a performance wonder and, as it lacks DirectX 11 support, some of the new games and benchmarks, such as 3DMark 7, could not be tested on the model. In the well-known 3D Mark synthetic benchmarks, the EH3C0E/W can barely keep up with the current competition. 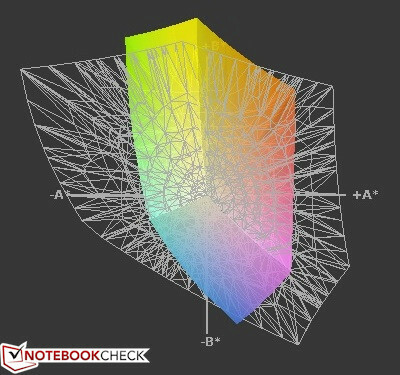 In the best case, it can match the performance of older notebooks. Let us start with 3D Mark 03. The performance of the integrated graphics is comparable to the Nvidia GeForce 9300M GS. The older Dell Vostro 1320 using this graphics chip with a P8600 processor. The Vostro can score 6,511 points whereas the EH3 takes second place with 6,379 points. Next we look at the newer 3DMark Vantage. The VPCEH3C0E/W performance is quite low with a score of 917 points and is once again matched in performance by older devices. The following diagram depicts the performance of our test model in comparison to other notebooks. Mafia II is not playable at any level. This action game does not run fluidly at minimum settings (even under the minimum of our benchmark). 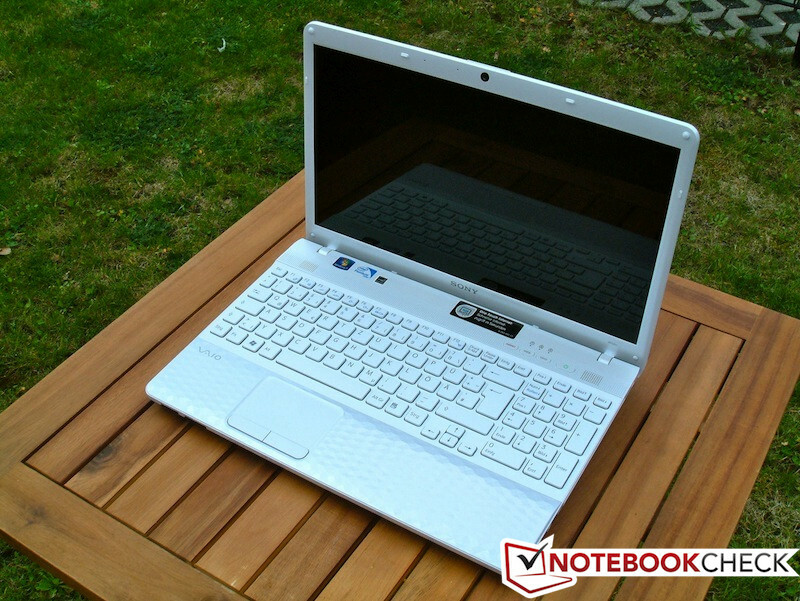 In the benchmarks, the laptop performed at a maximum of 14.7 frames per second. This demanding real-time strategy game runs at minimum details (resolution of 1024x768 pixels and low settings). In the benchmark, the laptop ran the game at 39.5 frames per second. We have almost never seen such low values in this performance class. Typically we would run two more benchmarks using Steam, but these were not possible as the graphics chip lacks DirectX 11 support. This slightly older racing game can still excite gamers for an occasional round. Low details and a low resolution of 800x600 pixels make the game barely playable. 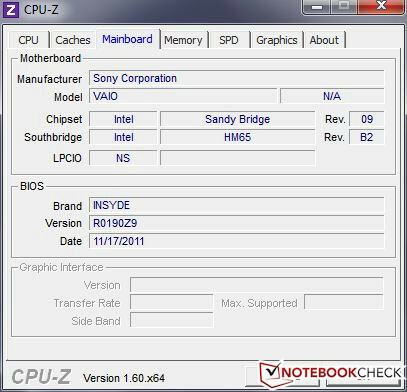 A MacBook Air 11 from the middle of 2010 (Intel Core 2 Duo SU9400 and GeForce 320M) can manage 27.4 FPS, whereas the Sony delivers 24.5 FPS. As expected, the gaming performance is poor. New games are basically unplayable on this model. The Vaio can however run older games. 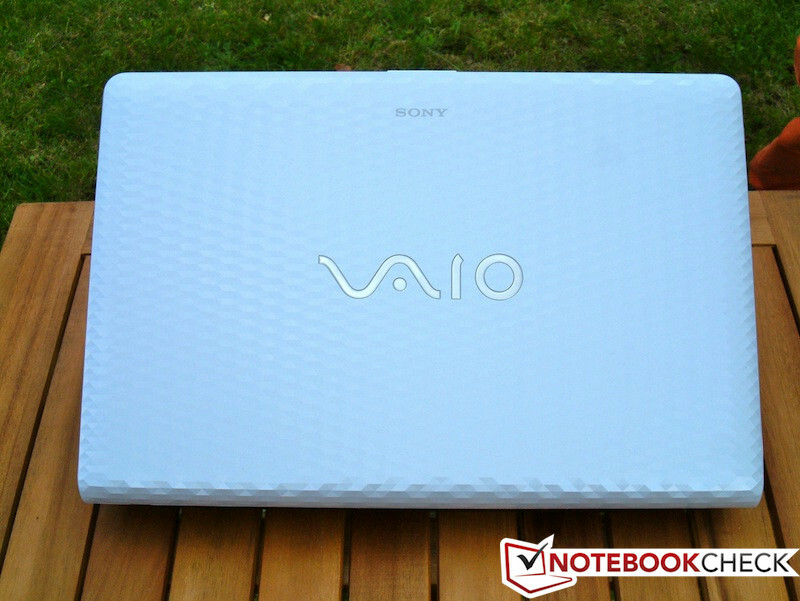 The Sony Vaio VPC-EH3C0E/W is a quiet model. Even at full load, the noise emissions only reach 38.7dB (A) (measured 15cm from the laptop). So the user will only hear a slight whoosh even at maximum performance. The fan runs constantly, but even at its highest speed, the user will only hear a hum. The average noise emission lies at around 30.3dB (A). The maximum realistic level in everyday use would be around 32.1dB (A). 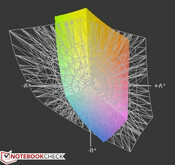 While watching a DVD, the noise levels reaches 33.5dB (A) with the optical drive. The fan does not erratically turn up or down and rarely does it turn up to run at full throttle. Sony scores full points in this section. 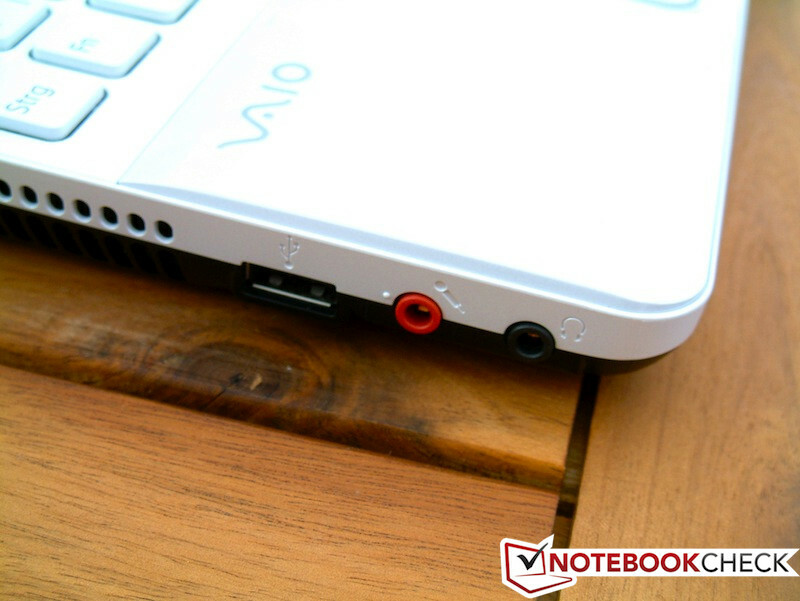 The Vaio never got hotter than 34°C (bottom) during our testing (temperature of surroundings was 19°C). The EH3 earns a 93% rating for this performance. While idle, the temperature emissions reach 32.2°C on the bottom near the fan. 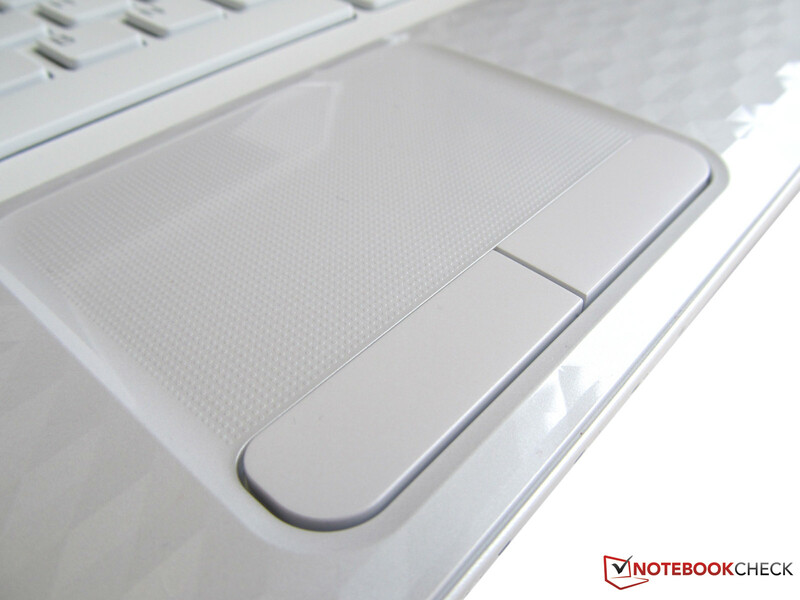 The top of the laptop never gets hotter than the temperature of the user’s palm. The power adapter can heat up to a much higher temperature of up to 46.3°C. As the following stress test shows, the laptop can deliver some great values. (+) The average temperature for the upper side under maximal load is 26.7 °C / 80 F, compared to the average of 30.9 °C / 88 F for the devices in the class Multimedia. (+) The maximum temperature on the upper side is 30.5 °C / 87 F, compared to the average of 36.5 °C / 98 F, ranging from 21.1 to 71 °C for the class Multimedia. Our stress test (Prime95 + Furmark) pushes the hardware to its limits. After two hours of testing, we can see if the performance is negatively affected, by looking at the temperatures and running a benchmark. The EH3 scores well in this test. After 2 hours of stress testing, the temperatures remain below 70°C in an acceptable range and the case is slightly warmer than the user’s hand. This may be due to the low TDP of the processor being used in the case. The processor and the graphics core never throttled down in the test and delivered full performance the entire time. 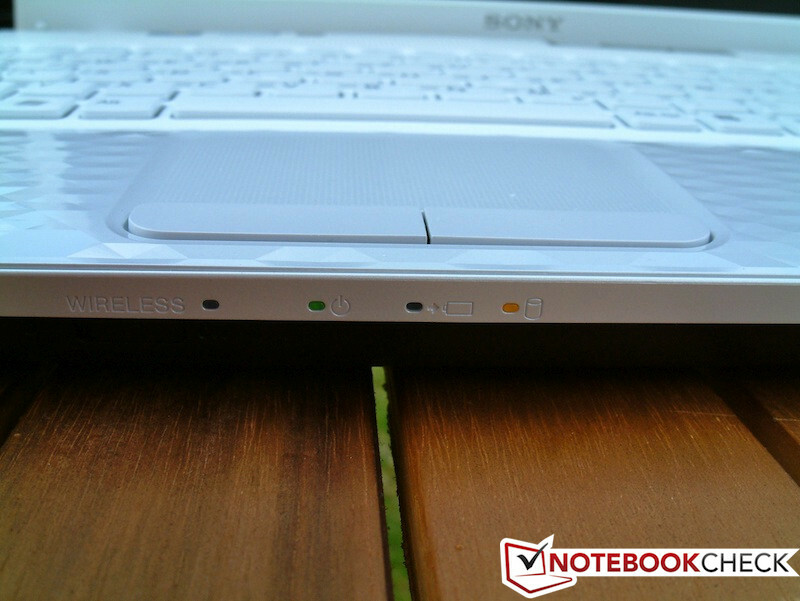 Most notebooks have poor sounding speakers. The EH3 is no exception and can only provide a thin, tinny sound output. There are no settings for the speaker system, besides the standard Windows settings. Even while playing a DVD, the speaker system can only provide meager sound, and its maximum volume is not very loud. Still, the audio jack ensures that the user can enjoy good sound via external speakers or headphones. 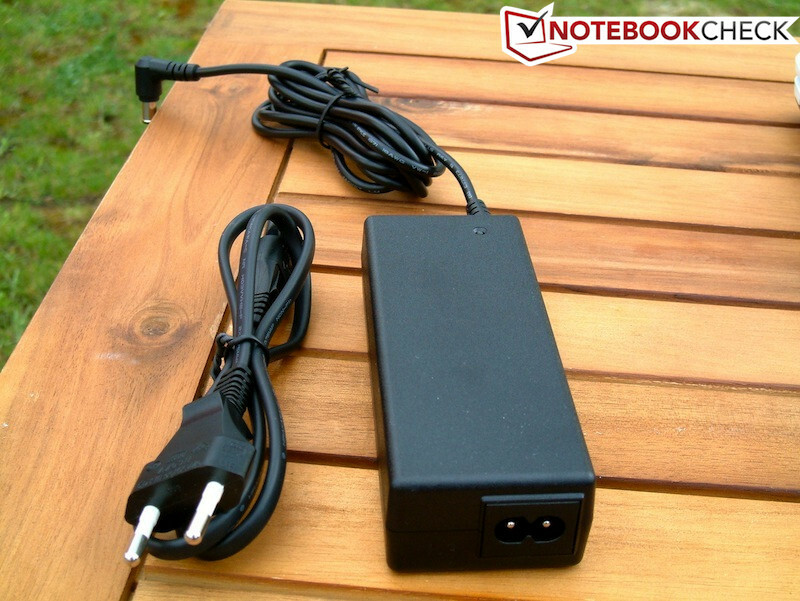 The VPC-EH3C0E/W is delivered with a 75W power adapter which charges the laptop at 19.5V. 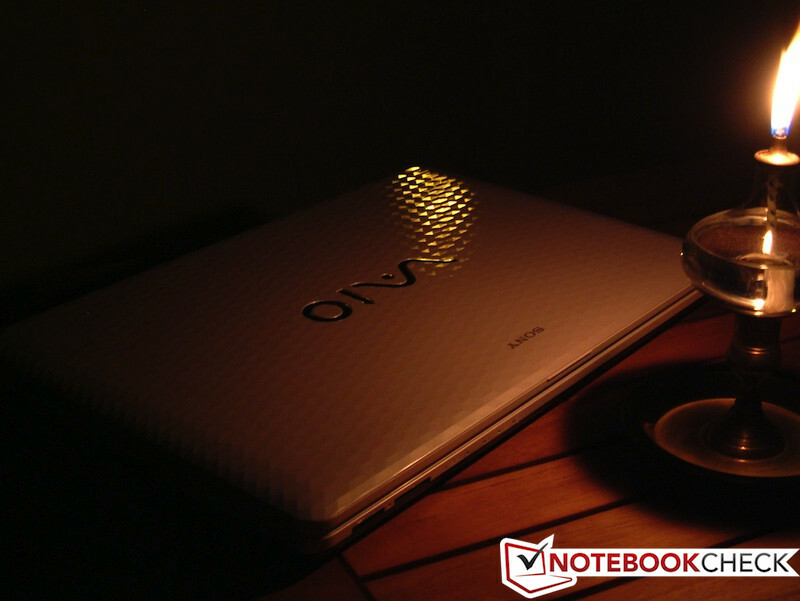 The notebook can consume a maximum of 50W and as such the power adapter is well-dimensioned. 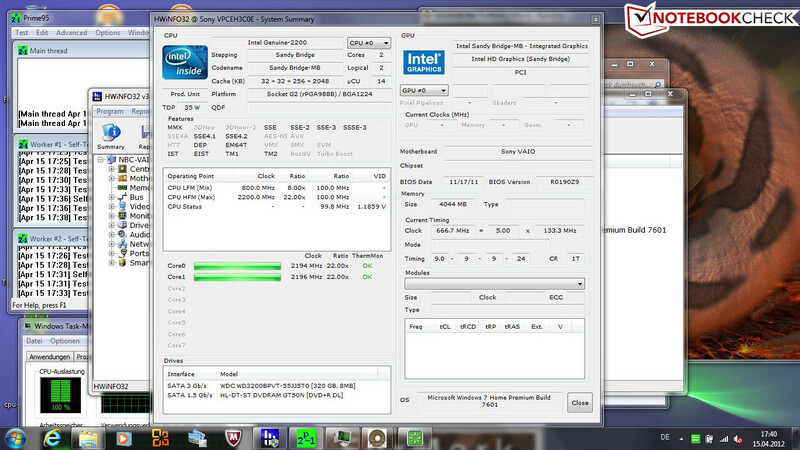 This maximum value is only reached when the display is set to maximum brightness, the communication modules are all turned on, "High Performance" mode is active and the stress test (Prime95 + Furmark) is running. The test model can consume a minimum of 8.6W. This required minimum brightness, communications modules off, and "Power Saver" mode on. 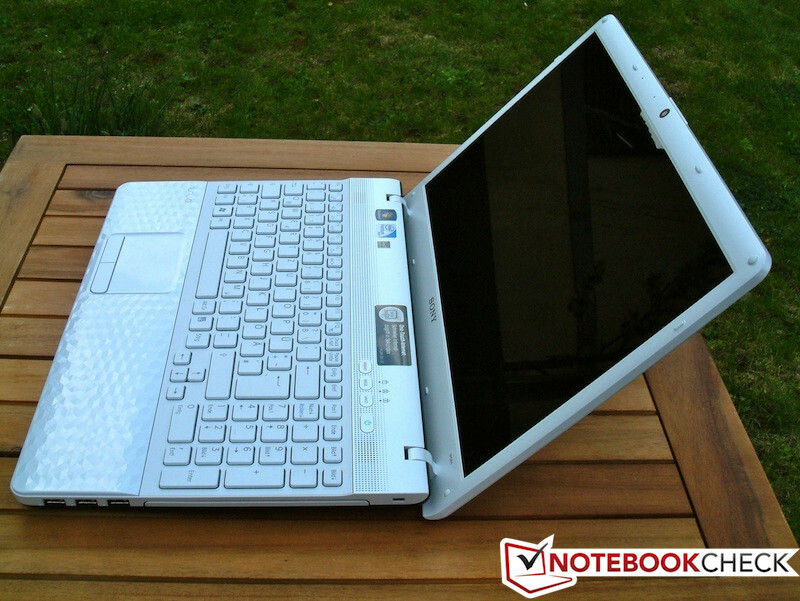 In most cases, the laptop should consume between 12 and 20W. Finally, the power consumption while the laptop is in standby is about 0.5W. While switched off, the laptop requires 0.1W and this is the lowest measured value of our power tool. First, we wanted to measure the maximum run time of the test model and we use the Battery Eater Readers test to measure it. The test simulates scrolling up and down a document at minimum brightness and with wireless modules off and on "Power Saver" mode. We kept the critical battery level at 1% for this test. 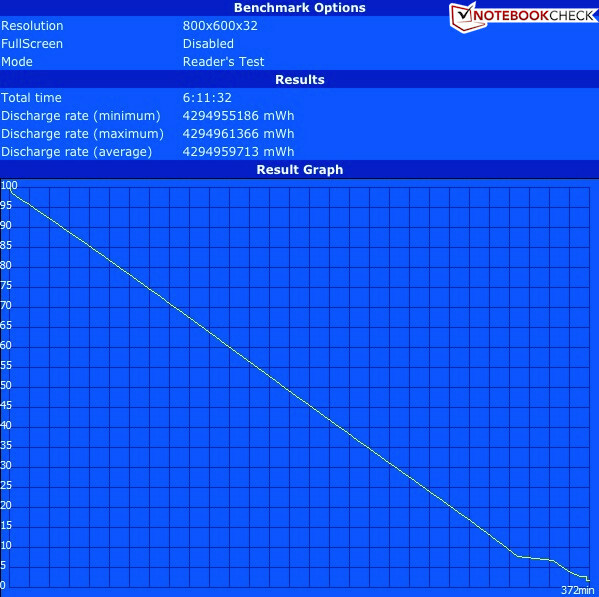 The laptop ran for 372 minutes (6 hours and 12 minutes) in this test. This is a good run time. The situation changes when we run the Classic test (Battery Eater), which stresses the system with constant 3D animation, so as to measure the minimum run time. Windows ran on "High Performance" mode for this test with max brightness and all wireless modules on. The laptop dies after 86 minutes (1 hour 26 minutes) which is quite short. The DVD playback test is more realistic. The laptop plays a DVD at maximum brightness with "Power Saver" mode and all wireless modules off. After 191 minutes (3 hours and 11 minutes) the battery is empty and the cinematic experience is cut short. However, this should be enough for most films, such as the Titanic (Duration: 3 hours and 7 minutes). Last but not least, the surf test. We simulate visiting various websites and watching Youtube videos using a script. In addition, all wireless modules are turned on in "Power Saver" mode and the brightness is adjusted (two levels under the maximum level). The laptop lasts four hours while surfing on the web with these settings. Where there is light, there must be darkness. The VPC-EH3C0E/W has an extraordinary design, which might not suit every user, but it does have great workmanship. The temperatures and noise emissions are low and this makes working on the review model very comfortable. The good input devices also contribute to this positive feeling. On the down side, we see mediocrity in almost all the other areas. A modest display, average run times, standard connectivity and below-average performance in programs and games hurt the user experience. 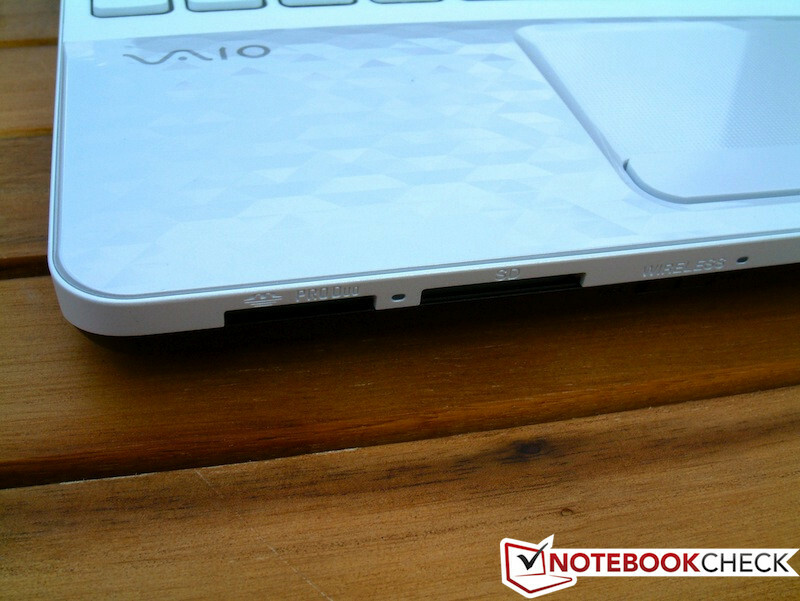 The Vaio is a lifestyle notebook rather than a multimedia laptop as Sony calls it. Buyers looking for exactly this will be well served with the EH3. EUR 500 is a bit much for the notebook, especially when one takes into consideration the meager accessories. 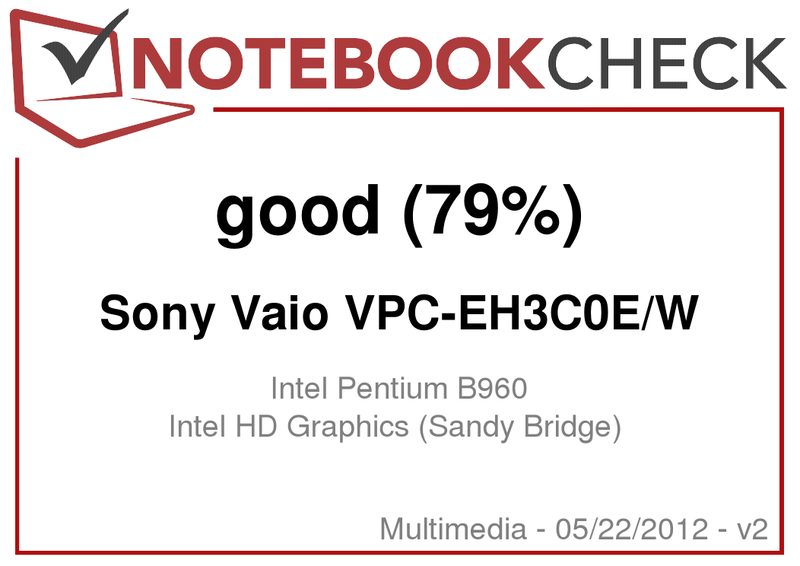 Overall, the Vaio gave us a good impression and despite the various flaws, it still gets 79% in our overall rating. The VGA or HDMI interface could be used for video output. The spacing is quite generous. ... which should appeal to female customers. 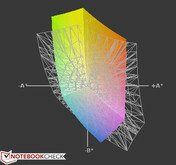 ... due to its honeycomb surface. ... and two card readers (SD and MMS). The colorful status LEDs are placed close by. The unusual case, which always stays cool. 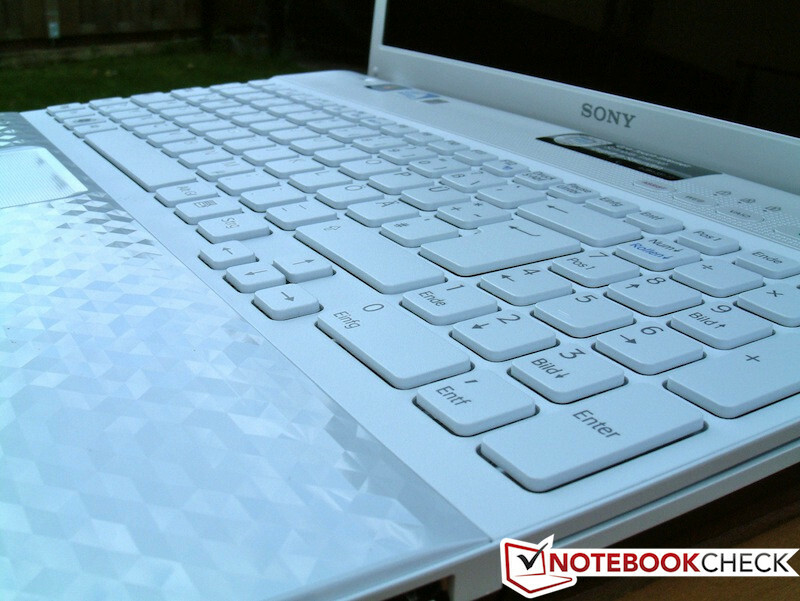 Sony offers such good design and sells good-looking laptops with low performances for such high prices. Almost all low budget models under 500 Euros.